4 players on this team were named Parade All-Americans. 3 players on this team were named McDonalds All-Americans. 3 players on this team were named Mr. Basketball in their state in HS. 3 players on this team were drafted by NBA teams. 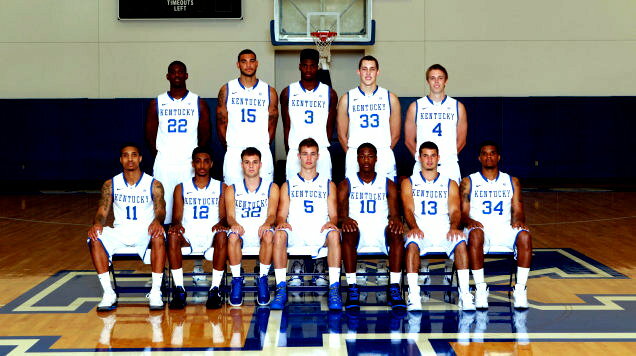 Seated (l to r): Twany Beckham, Ryan Harrow, Brian Long, Jarrod Polson, Archie Goodwin, Sam Malone, Julius Mays.